The police reported that Ruel Cabatingan was accompanied by his brother when he turned himself in to a police station in his hometown in Eastern Samar. He also admitted to the crime of killing the wife and seven year old daughter of an OFW by strangling them. It was originally believed that robbery was the motive behind the killings, but after investigators failed to find any evidence of forced entry in the scene of the crime, they had to look at other angels and motives. Jealousy is now seen as the motive behind the murder. Reports indicate that Cabatingan was close to the victims. Evidence gathered by the Cavite police even showed that Cabatingan and Ruby Gamos, the victim, were lovers. They reportedly rented an apartment in Cavite while Ruby’s OFW husband was away. They stayed there for almost six months and the landlady and neighbors even thought they were a family. Social media played an important role in piecing the pieces together in this tragic incident. According to the investigators, it was through Ruel Cabatingan’s Facebook page and the pictures he had that they were able to link him to the victims. There were also witnesses in the compound who testified that they saw Cabatingan in the victim’s house on the night of the incident. He was also seen leaving the next day using the family’s car which would later be retrieved in Cavite. 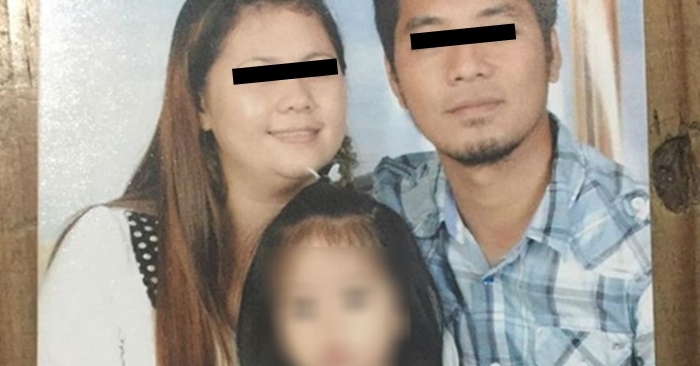 This devastating news was received calmly by Marlon Gamos, the OFW husband. One can just imagine the heartbreak that the husband felt upon learning that his wife’s killer was her lover. He has already filed a double-murder charge towards Cabatingan who was actually his high school batchmate, according to the news. The suspect has now been turned over to the Cavite police and is awaiting trial.